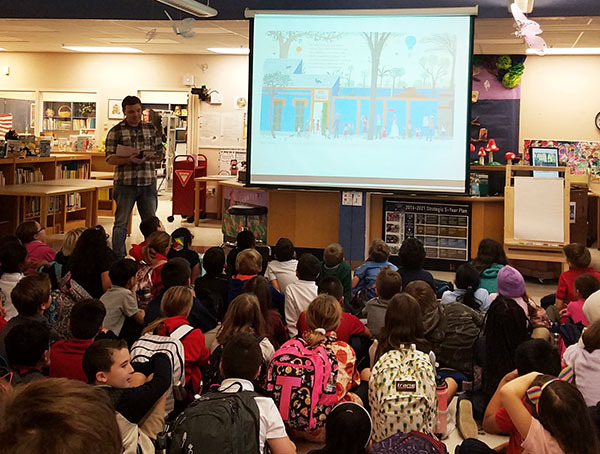 Award-winning artist and illustrator John Parra visited third graders at Panther Run Elementary School on Wednesday, Jan. 30. He is best known for his art illustrated, Latino-themed children’s books, such as Waiting for the Biblioburro, Green is a Chile Pepper and Gracias/Thanks. He spoke with the students about the art process, idea creating, inspirations and purpose. He also read from the latest book he illustrated, Hey, Wall.